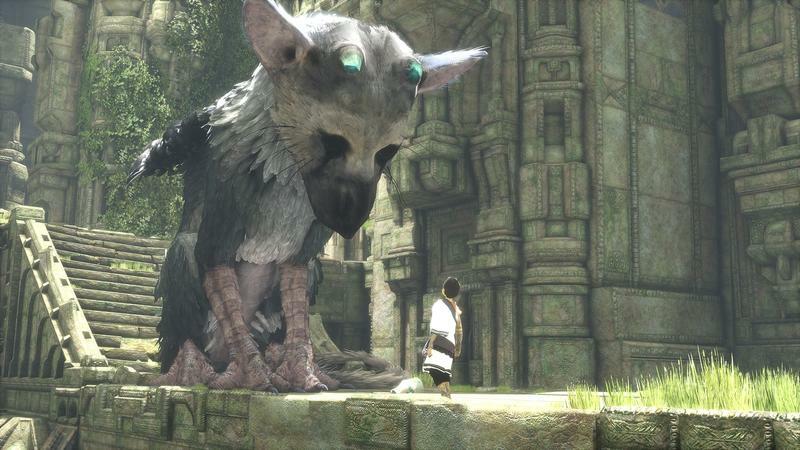 The Last Guardian is a real game that exists. Just a few days ago, that would’ve been a difficult statement to support, but here we are with not only a massive public unveiling but a behind-closed-doors live demo of the game. It really exists. And I’m not quite sure what to think. 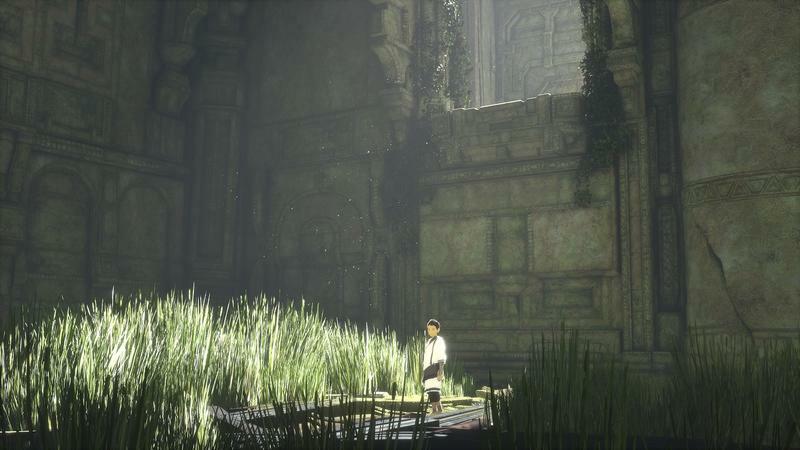 I loved Ico, and I loved Shadow of the Colossus despite being pretty bad at it. 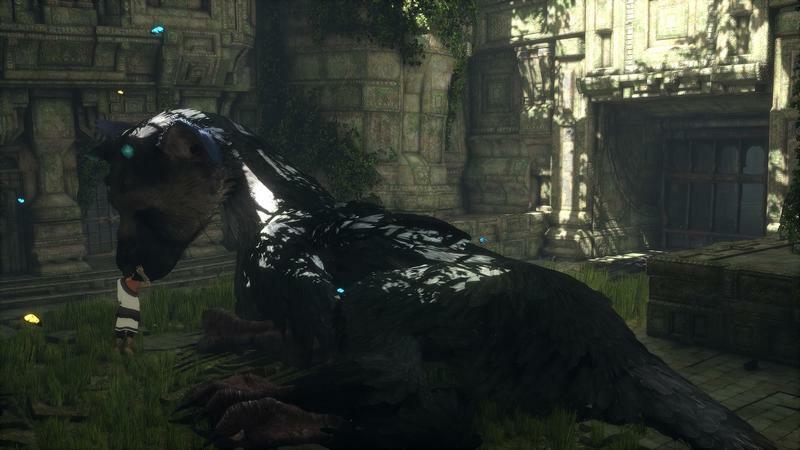 Visually, The Last Guardian is absolutely a sequel to those games. The boy inhabits a world as desolate and empty as it is beautiful. 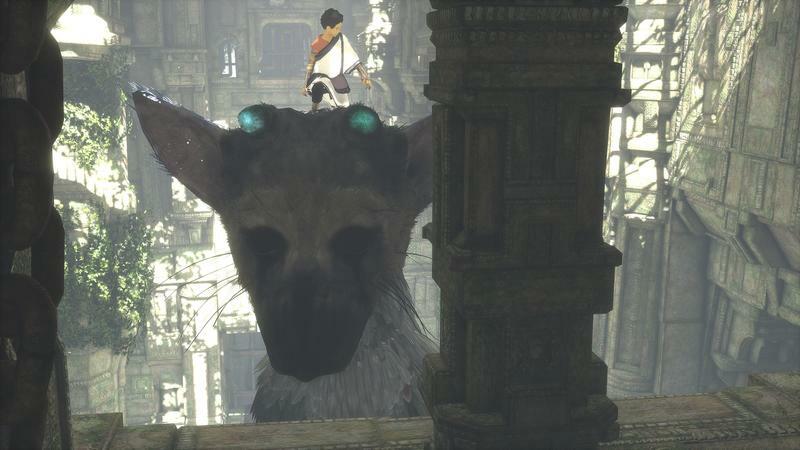 He and the creature, named Trico, look as if they were meant to be there. And in the sense of the literal game design, they were, but this is more of a tonal thing, like this is a place the two are trapped for a reason. It’s a beautiful and sad kind of feeling that games usually have a very difficult time imparting. 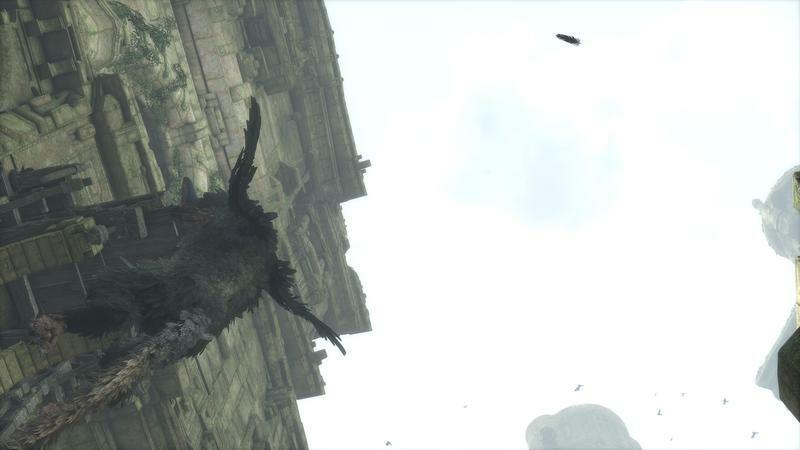 Both of Team Ico’s games have nailed the feeling better than just about anyone else before or since, and The Last Guardian seems to be continuing that. What we saw behind closed doors was, essentially, what we saw at Sony’s press conference on Monday night. The main difference being that the game was being played live by director Fumito Ueda himself, confirming that what we had watched was indeed captured gameplay and not a cutscene. 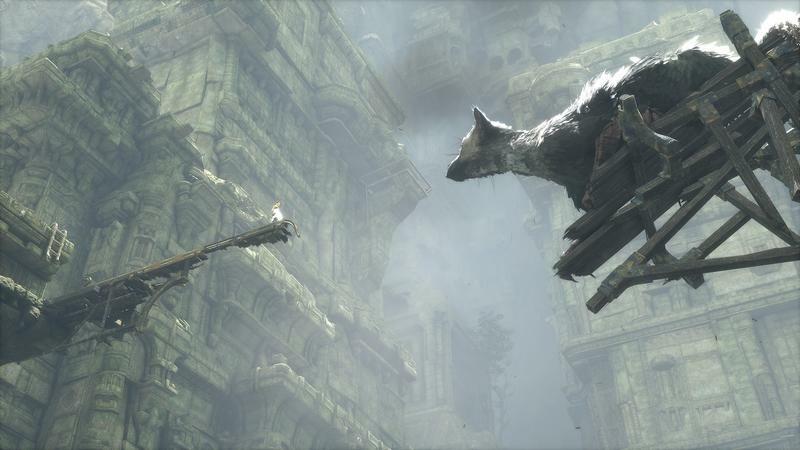 There’s a scene later in the demo where the boy takes a leap, expecting to be caught by Trico’s teeth, only for the bird-dog-cat-thing to narrowly miss. 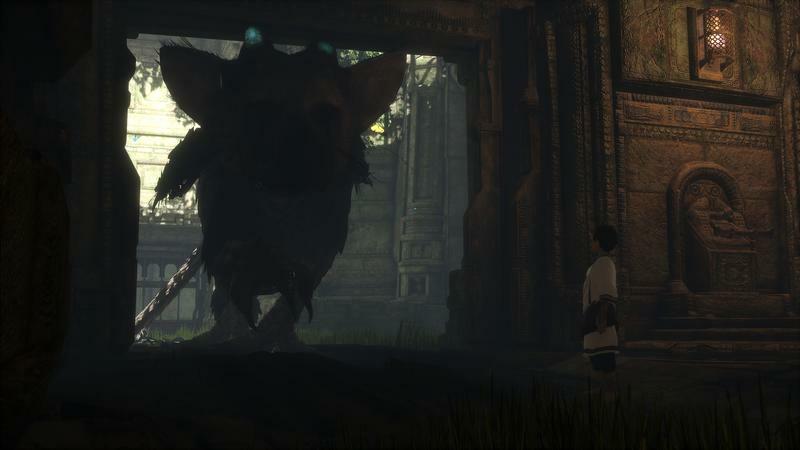 Instead, though, Trico’s tail whips under the the bridge it sits on, catching the boy at the last second. This, Ueda said, is not a cutscene, and the translator confirmed that in another demo he’d actually missed the catch. 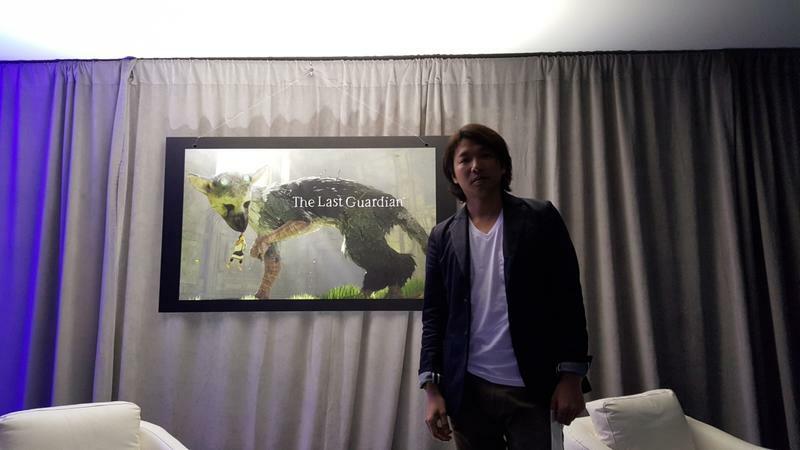 As he played, Ueda talked about the emphasis on the relationship between the two characters, and it’s hard to tell at times what the primary gameplay hook of The Last Guardian is. I’m not sure if there is a fun game to be had in all the interaction between the characters, despite how beautiful and enchanting that aspect is. I have faith thanks to the studio’s past efforts, but it isn’t as readily apparent as it was in those. In fact, my faith in the studio itself was pretty much gone – I’d given up on the game ever releasing before I actually saw it up on the screen on Monday night. Even then, it felt like it might be more of something like Gearbox’s work on Duke Nukem. Finishing the project just to finish it. With Ueda actually in the room at E3, playing his own game, though, I don’t think that’s the case. Though the relationships there is clearly strained – he wouldn’t have left the company otherwise – he didn’t have to make the 14 hour flight across the ocean to demo his game over and over when some other member of the team could’ve done it instead. It seems like he’s still invested in his creation, even after six years, and that’s encouraging. 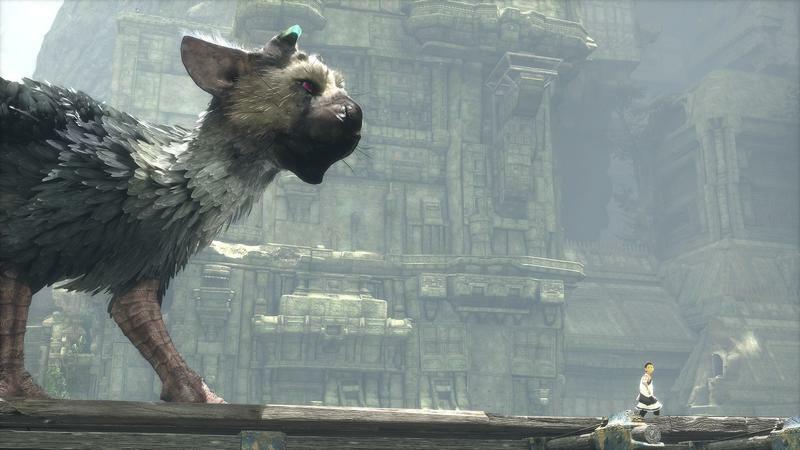 The Last Guardian is headed for PlayStation 4 sometime in 2016.